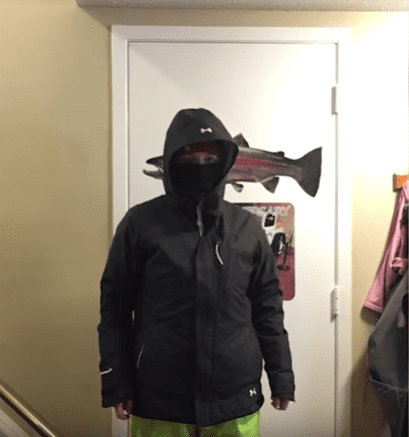 We all have friends and family who complain about the cold every time winter rolls around. 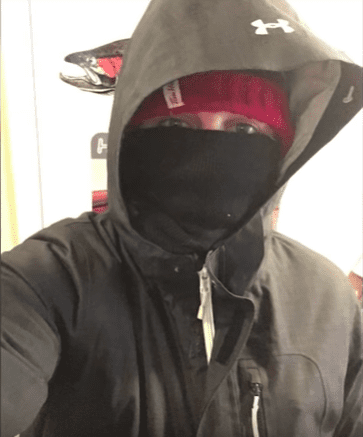 We get it – it’s dark, it’s cold…well, it’s winter. Of course, not everyone can just move to a warmer climate, but they seem pretty committed to not even trying to make the most of it. Next time someone has the gall to claim they’re “allergic” to winter, tell them they’re lucky that’s not actually the case. For Canadian Arianna Kent, a cold-ravaged body is all too real. 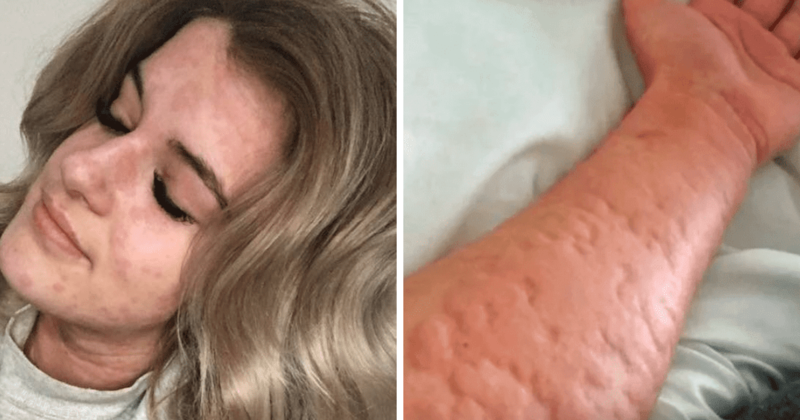 This 21-year-old woman suffers from cold-induced urticaria that makes her skin reacts severely to any type of cold. 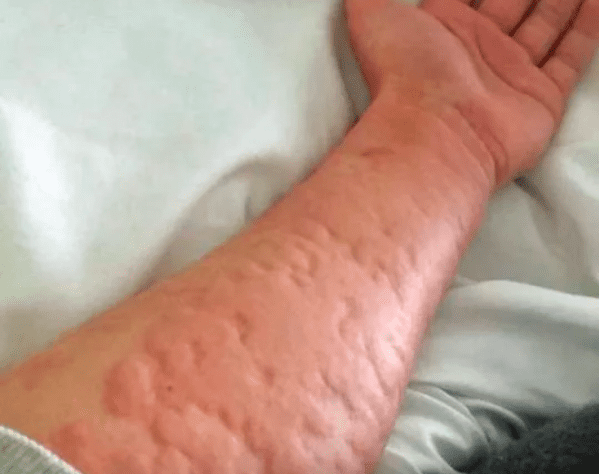 And it’s not just the winter that makes her suffer – a cold breeze, cold water, or sudden temperature changes could land her in the hospital due to her cold-induced urticaria, which can manifest in low blood pressure and fainting as well as this skin reaction. 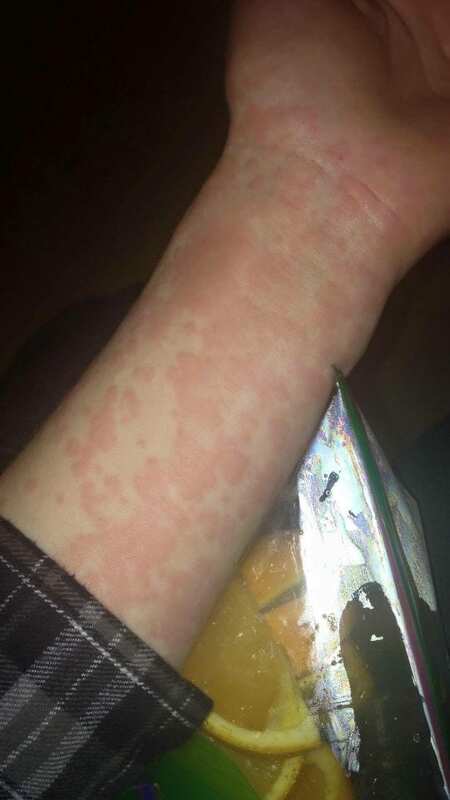 “It is a slow process, starting as small pin-sized hives on my arm that get bigger and begin to become raised. At their largest my whole body can look like a whole swollen welt. And, no, she can’t simply move to a warm country because being exposed to unexpected air conditioning could land her in the hospital. 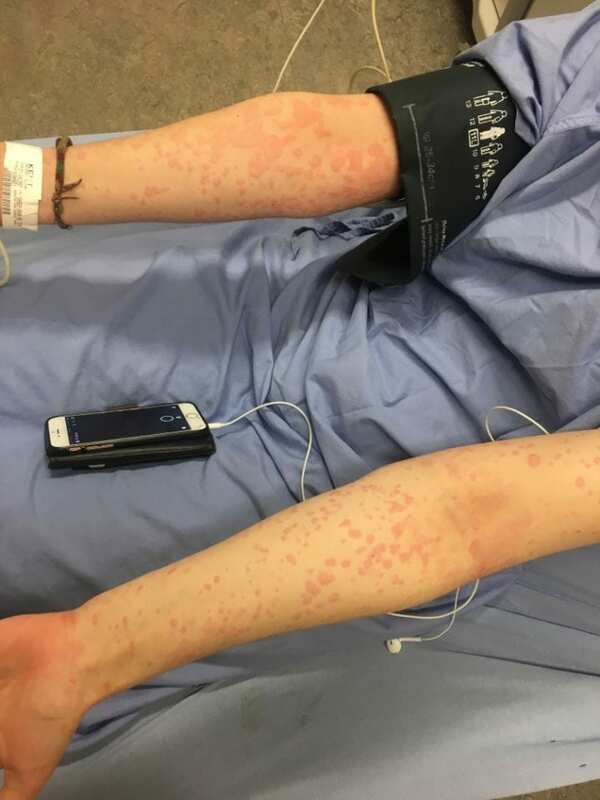 People can have mild cases of cold urticaria, but clearly, Ms. Kent’s is quite severe and itchy hives can turn potentially fatal if she goes into anaphylactic shock. The condition is generally discovered while sufferers are young and Kent’s was diagnosed as a 14-year-old, while she was shoveling snow. But this is the reality for Ms. Kent as well as Kelly Powell, who made a YouTube video describing the autoimmune disease, which came on suddenly after she had her children. For Powell, swimming with her kids, play in the snow, or even open the refrigerator door without getting hives is now out of the question. 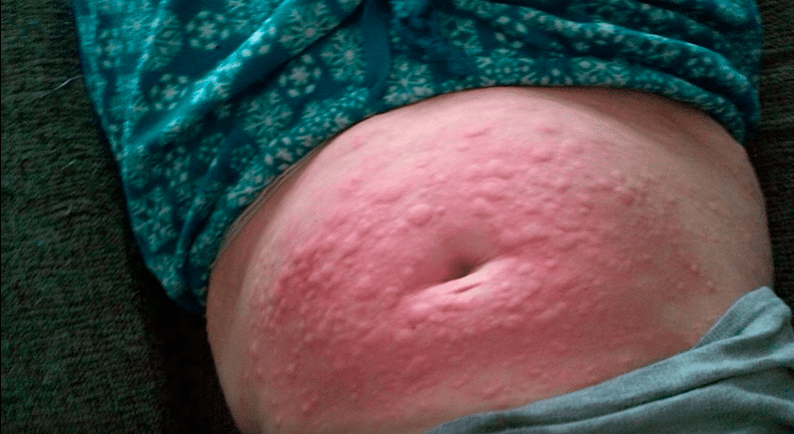 To make matters worse, while the welts develop as the skin is exposed to cold, they can actually become worse as it warms back up. Sufferers even need to be careful when handling cold objects (like a cold glass of water, which they can’t drink anyway or else their lips and tongues will swell). They also need to be careful to dry off quickly when they first step out of the shower. People with severe cold-induced urticaria also have to stay away from cold foods (as well as the freezer) altogether – no refreshing summer treats or shopping for frozen pizzas! And while antihistamines can help manage the condition to some extent, that means that histamine-heavy foods are off limits – so no fermented foods (like cheese, yogurt, sour cream, sourdough bread), cured meats (like sausages or salami), tomatoes, eggplant, or even ketchup, to name a few. And, of course, they have to bundle up on chilly days or completely stay inside, when possible, on colder days. Powell says that trying to explain to people that she has the condition is hard because people don’t believe her or simply look at her and laugh. 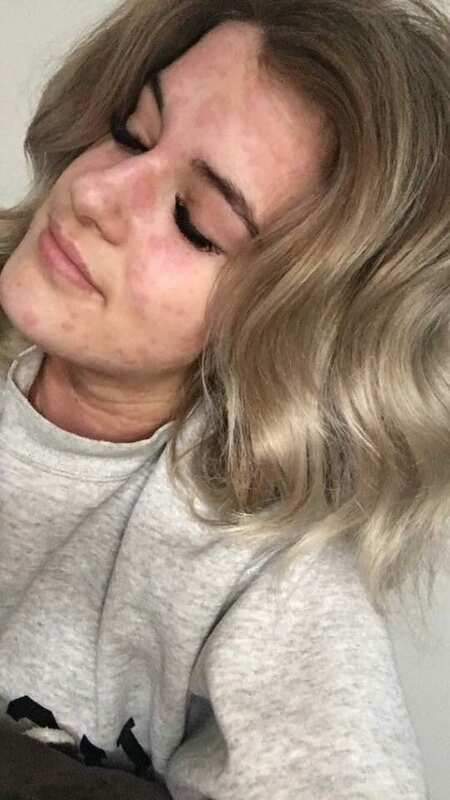 And she’s embarrassed to go outside when she has hives since it’s so obvious. 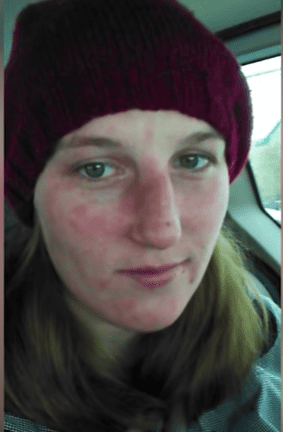 Sadly, she admits that cold-induced urticaria has ruined her life. At the end of the video, she reaches out to other sufferers and urges them to keep raising awareness of the disease so that more people understand how much it can destroy lives. And while you might get sick of the cold sometimes, be grateful that you don’t have to suffer like these young women. Watch and learn more below.